Shop with Us on Shop Small Saturday! OPEN FROM 9a – 5p ON SMALL BUSINESS SATURDAY! Celebrate The Oven Mitt's 2-Year Birthday with Us!! Stop in, share, taste, shop, & enjoy!! Hurry in! Offer good only while supplies last! 3.75 oz size only. Chat with Karen about the many great Stonewall Kitchen product offerings & learn about great, inventive ways to use them in your kitchen! Recipes include: 7-Layer Dip made with Black Bean Salsa, 7-Layer Dip made with Mango Lime Salsa, Coconut Macaroons made with Raspberry Mango Jam, Peanut Butter & Jelly Bars made with Wild Maine Blueberry Jam, Peanut Butter & Jelly Bars made with Peach Apricot Cherry Jam, Maple Apple Onion Jam Pizza, & Maple Bacon Onion Jam Pizza. Yummo! Again – hurry in! These will go quickly each day!! Register to Win a Stonewall Kitchen Batter Bowl Gift Set! Provide your name & email address & be entered to win 1 of 2 Stonewall Kitchen Blueberry Batter Bowl gift sets. Each set contains a ceramic, spouted batter bowl decorated with a blueberry bush design, Wild Maine Blueberry Syrup, Farmhouse Pancake & Waffle Mix, Wild Maine Blueberry Jam, & a medium blue spatula all from Stonewall Kitchen! Each set retails for $55. See store for more details. ALL Nordic Ware product 25% off! Fri, May 18th & Sat, May 19th, only! Sale prices apply to regular priced product only – clearance product excluded. Save an EXTRA 15% on Clearance Products! Get an even better deal on clearance product marked 40-60% off regular retail with this extra 15% savings! Good only Fri, May 18th & Sat, May 19th. 1st Ever Diva Nite During Winter Blast!! Included in this years bag will be a 10% off coupon for your total purchase at The Oven Mitt!! Support Your Local Businesses by Coming Out for Small Business Saturday, Nov 25th at The Oven Mitt!! First 10 Purchasers will Receive a FREE Shop Small Tote! Enter to win one of 5 Nora Fleming Square Bakers with a 2017 Limited Edition Pink Butterfly Mini! Tastings of Stonewall Kitchen Products like Spicy Chili Bacon Cornbread & Maple Pumpkin Brie! 50% off Fall Merchandise, 30% off Charles Viancin, 20% off Nordic Ware, Chantal, & Shun!! 2nd Annual Pumpkin Bake-Off Co-Sponsored by Pleasant Valley Orchard & The Oven Mitt is Saturday, October 28th!! Stop into The Oven Mitt during Karl Oskar Days (July 12th – 16th) & save 10% on your purchases* when wearing your KOD button!!! Winners from The Oven Mitt's One-Year Anniversary Celebration!! Celebrate The Oven Mitt's 1-Year Anniversary with Us!! Stonewall Kitchen’s Jam Tour Comes to The Oven Mitt!! What’s the Jam Tour? Well, basically Stonewall Kitchen goes around the country introducing people to their Wild Maine Blueberry Jam! 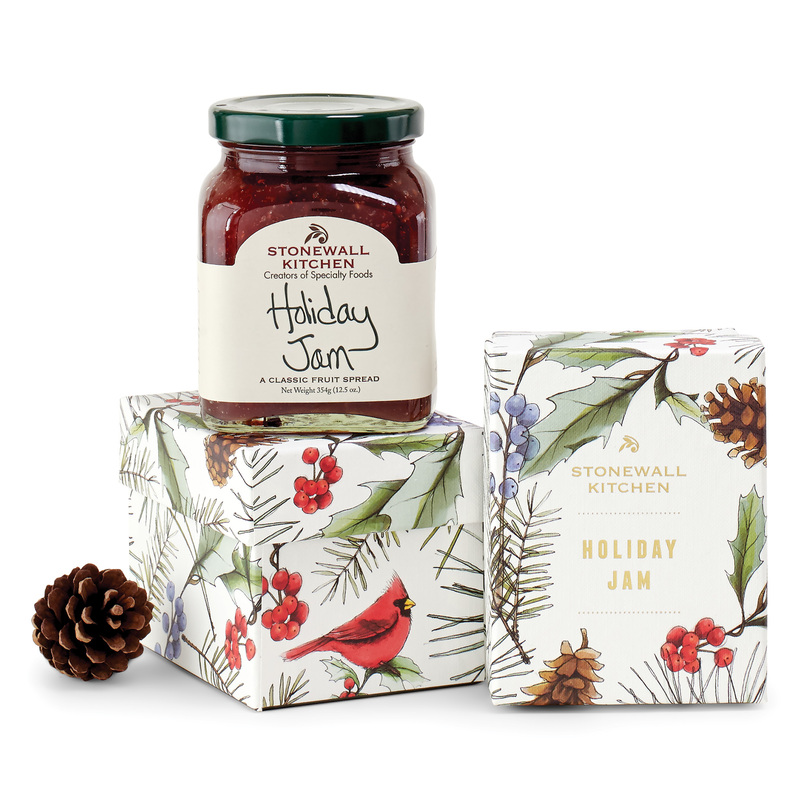 They talk about their brand and products, hand out free samples and give out $2.00 OFF coupons for any Stonewall Kitchen jam, jelly and marmalade! They’ve been conducting Jam Tours since 2010 and the response continues to be fantastic. They love meeting people, watching folks taste their jams for the very first time and hearing about the many ways people from across the country enjoy their jams. Plus try some samples of Stonewall Kitchen products! Yum! Hurry in – offers are good only while supplies last!! Provide your name & email address & be entered to win 1 of 2 Stonewall Kitchen Batter Bowl gift sets. Each set contains a ceramic, spouted batter bowl decorated with a blueberry bush design, Wild Maine Blueberry Syrup, Farmhouse Pancake & Waffle Mix, Wild Maine Blueberry Jam, & a medium blue spatula all from Stonewall Kitchen! Each set retails for $55. See store for details. 30% off all Chantal products! From teakettles to cookware, from butter dishes to bakers, Chantal has it all!! Carline Bengtsson, from Lindstrom, will be in-store to sign copies of her cookbook, Carline’s Fork & Cork Simply Delish! The cookbook will be on sale for $34.99. Each purchase of the cookbook will automatically enter you into a drawing for a $50 gift card from The Oven Mitt! See store for details. Taste Urban Accents great popcorn & seasonings while shopping! Gluten free & no MSG in these products. Use with a microwave popper & easily control the oil, fats, & chemicals! For the month of May, take advantage of a special promotion from Joseph Joseph! Their best selling products are all 25% off!! Check-out the Chop-2-Pot foldable cutting board, the Garlic Rocker stainless steel garlic mincer, Nest 6-pc Storage sets which feature containers & lids that nest together for easy storage, plus many more great products! 30% off all Shun knives and accessories! Top-of-the line Japanese steel knives still hand-crafted by the same people who made Samurai swords over 100 years ago! Back by Popular Demand - Stonewall Kitchen Lake House scent Dish Soap, Hand Soap, and Hand Lotion! Stop in to smell summer at the lake! Shop Small Business Saturday, November 26th!! Spread the joy of the season!! Bring in a non-perishable food item for the local food shelves and receive a $5 coupon to use on your next purchase from Nov 27th thru Dec 24th! Come in and taste some great Stonewall Kitchen products. They are so nice to have on hand for those impromptu holiday guests or to give as the perfect hostess gift! Tastings will be going on throughout the day. Stop in to taste Gingerbread Butter, Spicy Bacon Chili Jam, or Coffee Caramel Sauce as well as many other options! 20% off all E Cloth cleaning products! Clean confidently and easily with just water & E Cloth products – cloths, scrubbies, mops, & dusters are all on sale through the month of November! 30% off all Chantal cookware, ceramics, tea kettles, and accessories! From mini butter dishes to stock pots, Chantal has it all! The first 20 purchasers on Shop Small Saturday will receive a free Shop Small Tote bag!! 20% off of ALL Nordic Ware products including bakeware, cookware, grilling products, and accessories! 20% off all Shun knives and accessories! Give that cook in your home a top-quality Japanese steel knife to brighten their holidays! Looking for extra savings? Check out the Clearance section for up to 60% off of an assortment of products that are going fast! Also find some great “As Is” products at up to 90% off! Want the BEST turkey this year? Try brining it! Check out Urban Accents turkey brining video! The Oven Mitt carries the Brine ($8.49), the Bag ($6.99), & the Rub ($4.49)! The Oven Mitt Grand Opening Celebration Sat & Sun May 7th & 8th! Join us for the Grand Opening Celebration at The Oven Mitt! There will be food tastings, coupons, drawings for prizes, and more! The event will be held on Saturday, May 7th from 10:00 am to 5:00 pm and on Sunday, May 8th from 12:00 noon to 5:00 pm. The Oven Mitt, Chisago Lakes Area local purveyor of unique and quality kitchenwares, will be opening on Thursday, April 14th. Located in downtown Lindstrom, The Oven Mitt will carry products to enhance your everyday and special event cooking, baking, cleaning, and entertaining experiences. You’ll also find gifts perfect for many occasions from graduations to weddings to retirement and everything in-between! From timers to tea kettles, from sponges to spatulas, and from martini glasses to muffin pans, The Oven Mitt has it all!